Can't get enough Mickey Mouse? Become Mickey Mouse with these Mickey Mouse Sun-Staches! You'll look just like Disney's mousey mascot. 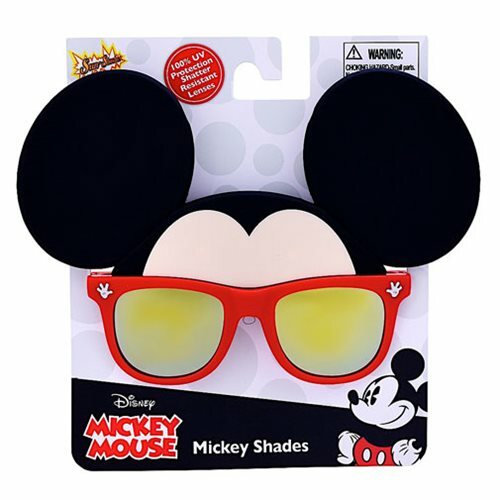 These Mickey Shades feature 100% UV protection and shatter-resistant lenses. Measures approximately 8 1/4-inches wide by 5 3/4-inches tall. Ages 13 and up.